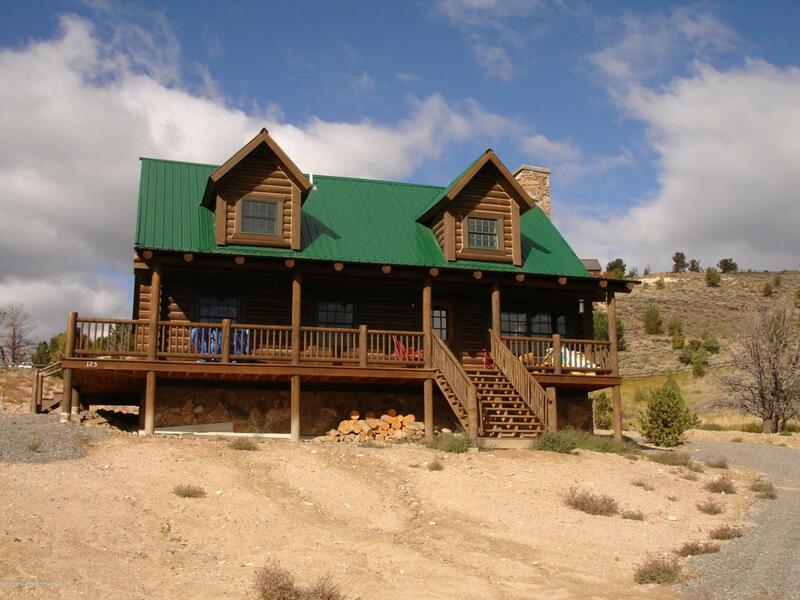 Chase your adventure in this quintessential Wyoming cabin offered at a reduced price. A fantastically maintained custom swedish cope log home that is move in ready! Enjoy peace & tranquility as you sit by the oversized stacked stone fireplace & enjoy views of the Absaroka Range, adjoining BLM land & the painted hills of Dubois. Only 85 miles from the resort town of Jackson Hole offering world class skiing & fine dining. Grand Teton Nat'l Park, the gateway into Yellowstone, is only 55 miles away. The Upper Little Warm Springs sbdv is located only 1.5 miles west of Dubois & offers two national forest entrance points for adventure in the 2.5 million acre Shoshone National Forest. The municipal airport is only 1 mile away offering easy atv travel to the home.